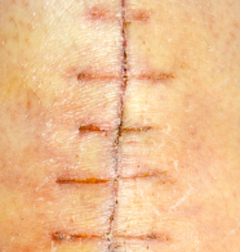 Scars and stretchmarks are the product of abnormal wound healing. They can sometimes be of considerable medical or cosmetic concern. Some scars are raised, some flat and others depressed. If your scar is of concern to you, we will assess your scar to see if we may be able to improve the appearance of your scar.